Welcome to the seventh Linux gaming compilation. Hopefully, you will like this one as much as the others. I have carefully selected today's titles, and I believe you'll be pleasantly surprised by the repertoire. The long-awaited Wolfenstein: Enemy Territory is finally here. 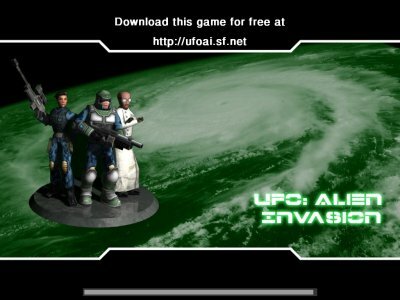 Then, there's the masterpiece UFO: Alien Invasion, a remake of the legendary UFO: Enemy Unknown. Fans of board games, including 3D board games, will also like today's choices. Racing fans won't be left in the dry, either. We will talk about Liero and Liero clones, two other FPS, a number of arcade games, and more. It should definitely be interesting. That's it, I think. Let us begin. For the first six articles, please check my Games section. Finally! A review of Wolfenstein - Enemy Territory. I have received at least a dozen emails and read many more comments online berating me for having left out Wolfenstein - Enemy Territory (ET) from my previous Linux game reviews. With a good reason - because ET is a great game. 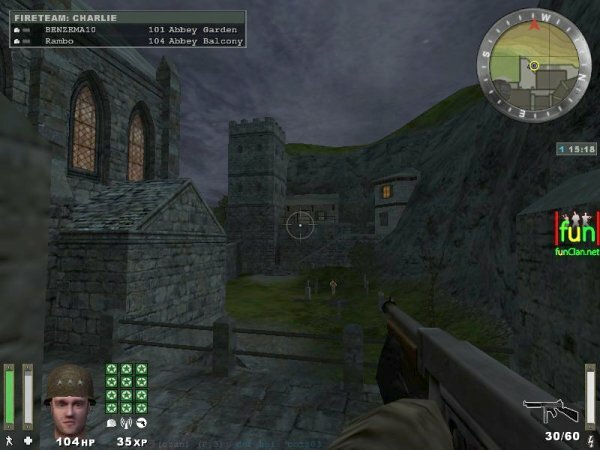 The game was originally planned as a commercial expansion pack for the popular Return to Castle Wolfenstein FPS, but it was then released as a free standalone, online multiplayer game in 2003. While the game is quite old, it is very much popular and played by thousands of people daily, proving that great titles do not wear down with time, another great example being Operating Flashpoint. ET is available for all major operating systems, including Linux, Windows, and Mac. It runs on the id Tech 3 engine developed by id Software, the company behind Doom, Quake and most open-source and free FPS today. ET takes places in World War II. 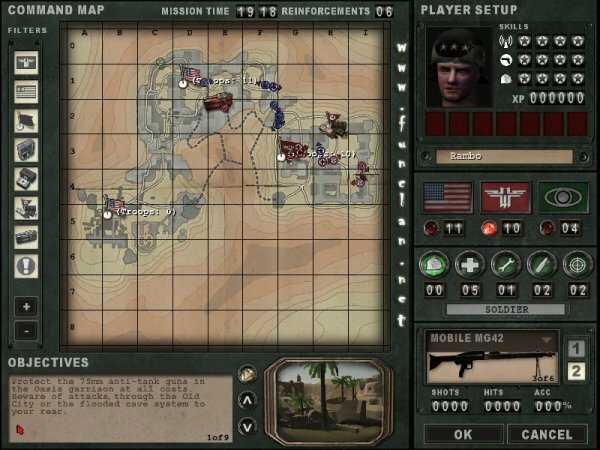 You can fight either as an Allied or Axis soldier, taking one of the several combat roles of a typical infantry squad. In the game, the roles are known as classes and include: soldier, medic, engineer, field operative (field ops), and covert ops. Each of these classes offer unique, distinctive features and require different tactics to successfully utilize in combat. The soldiers are armed with sub-machine guns, rifles, machine guns, or anti-tank weapons. Medics carry health packs and can revive fallen soldiers; they also have a higher health and can self-heal. Engineers are highly versatile troops that can repair vehicles, erect command posts, machine gun nests and barriers, and arm and defuse explosive charges. Field ops can call airstrikes by marking targets with smoke grenades and they also carry extra ammo packs. While they are weak and have few hitpoints, they have unlimited ammo, making for a vital source of logistic support. Covert ops are also very interesting, being able to disguise themselves as enemy forces by taking uniforms off dead soldiers and wearing them, place and remotely detonate satchel charges and detect enemy landmines by using their binoculars. They also carry handsome weapons like scoped rifles or silenced submachine guns. Playing online, you gain experience points as you accomplish more of the tasks set for you. Experience points allow you to advance in skill levels, which improve your ability to fight and survive. There are 4-9 skill levels available for each class. Some skills are class dependent and cannot be used when the player switches to a new class. 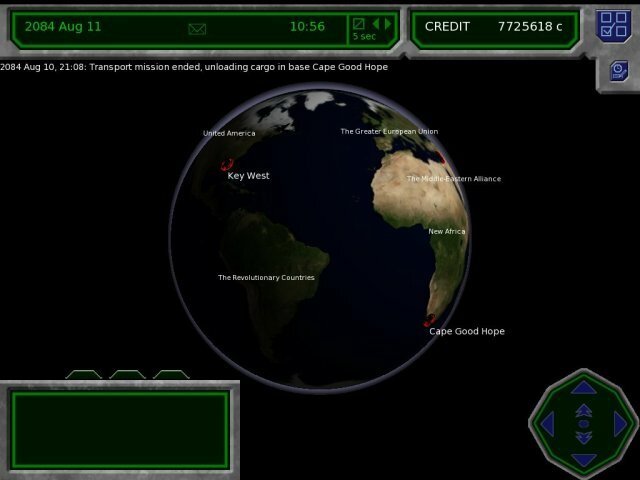 In the Campaign Mode, the points are carried over to next map levels. Some servers will remember the player's score even when he/she disconnects. The classes also have special abilities that can only be periodically used and they slowly recharge. However, if a team constructs a command post on a map currently played, their special abilities regenerate faster. All players start as privates and then advance as the game progresses. Dead players will respawn every 20 seconds for Allied units and every 30 seconds for Axis troops, adding yet another element of strategy into the gameplay - that of timing enemy respawns to gain maximum combat advantage. Dead soldiers also do not die immediately. They get fatally wounded and will wallow in their own blood for a few seconds left until the next respawn, where they will officially die and then rise to fight again. This time window allows medics to revive fallen soldiers with a syringe. The respawning is disabled in the Last Man Standing mode, but it is activated in the Campaign, Stopwatch, and Objective. These modes are roughly comparable to popular Free for All, Deathmatch, and Capture the Flag, with the Campaign being something you do not often see in FPS games. Indeed, it is a pleasant and refreshing change from rather standalone combat in most games, allowing you to get emotionally attached to your team and care for your character. You get an impression that you're in Saving Private Ryan, only you had nothing to pay to enjoy the action! Just below the window, German troops are driving a Jagdpanther toward a bridge, supporting nearby infantry - just like in real urban combat. It is also possible to commandeer vehicles. While the vehicles are AI controlled and follow predetermined paths, they offer firepower and protection while there are friendly troops in the vicinity. 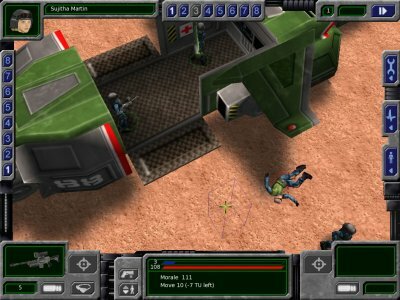 All combined, the mix of unique classes and skills, advancement through ranks, spawn timeout, vehicles, and the careful balance of tactics make Enemy Territory a rich, complex game beyond the basics of FPS. There are six official Campaign maps in the game and many hundreds of custom maps developed by the gaming community, allowing you to enjoy a limitless world of challenges. 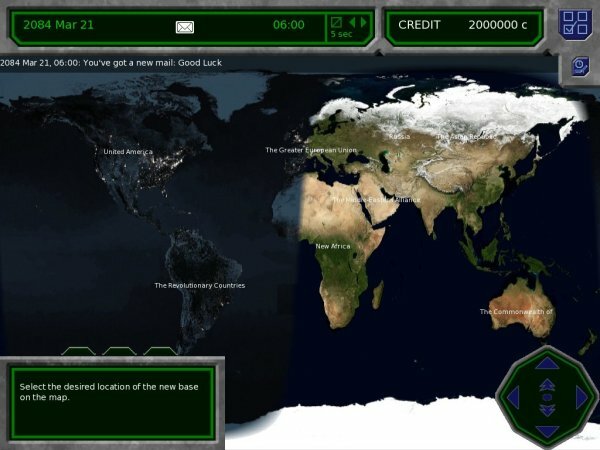 ET's immense popularity also also resulted in a number of unofficial conversions (mods), including TrueCombat:Elite, which takes places in the modern world. The mod was created by players and seems to have been abandoned, but you can still find it available for download on some websites, like Softpedia. Wolfenstein - Enemy Territory, a game that has roots in the original Wolfenstein 3D, is a incredible game. It is deep, complex, rich in unique details, and well executed. 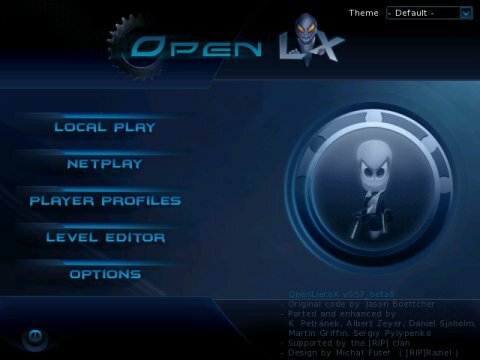 While the graphics may not suit the most pampered of souls, it is still quite reasonable and comparable with titles like Alien Arena or Urban Terror. If you're in for fun and gameplay rather than a 40GB waste of pixels, Wolfenstein - Enemy Territory is one of the best choices you can make. Warning: This game is completely unsuitable for children. It contains a large amount of gore and obscene violence. The game homepage is also a bit blunt, therefore I leave the magical powers of Google to let you find it, if you want it. I was not sure whether to suggest this game or not, but then I decided to go forth with it. If I were to spare the world of some of its greater evils, I would start with large chunks of the planet first, snipping them off and hurling them into higher orbit, before focusing on software code. Computer games can hardly compare with hunger, famine, mass murder, and other everyday inconveniences plaguing the humanity, now can they? Anyhow, Postal 2 is an unusual game. It has its share of typical FPS elements, but then it has some special features that you won't find elsewhere. The game itself is a commercial title that has a single mode campaign, in which you play The Postal Dude. You can complete the campaign peacefully or you can go postal. The level of violence is entirely up to you. 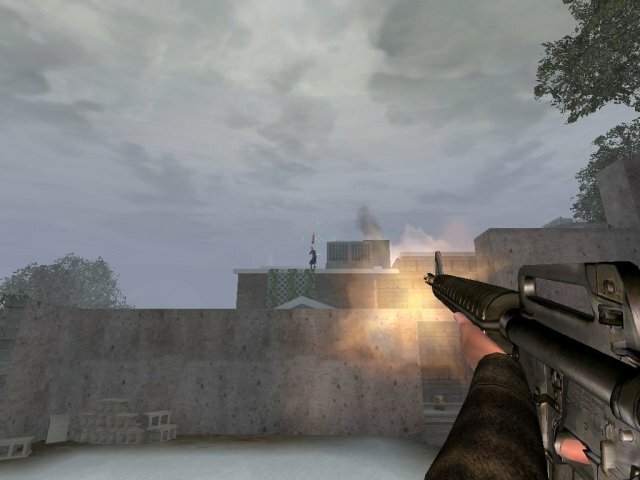 A multiplayer edition of the game, called Postal 2: Share the Pain (P2STP) was released later on and became immensely popular. It is freely available for download on Windows, Linux and Mac. The full game also runs on all major operating systems, being based on the cross-platform friendly Unreal engine. 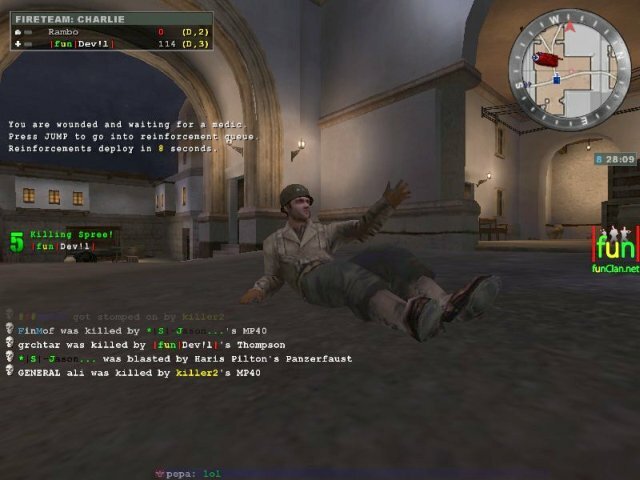 In the multiplayer mode, you fight online against other people, just like any other FPS. The combat is depicted with an absurd excess of spraying blood. The game characters all have a nihilistic, vulgar nature, somewhat reminiscent of Max Payne. Some of the game controls are specifically there to humiliate the opponent. While these banal details can appeal to the Beavis mentality of an average teenager, they seem strained and rather unnecessary, as if the game creators tried too hard to make their title controversial. In fact, they take away some of the pleasure, as you are forced to focus on trivial details. Sometimes, less is more. Just like Jack Bauer can never be Casey Ryback, no matter how hard he tries. Overall, the game can be fun - provided you have enough mental and emotional capability to detach yourself from the less savory bits and enjoy competition with other players. The gameplay is quick and the graphic details are reasonable. Maps are wide and open but still with enough hideouts and ambush spots to make for a jumpy urban fight. Weapons are scattered about the map, from pistols all the way to rocket launchers. It is up to you to decide whether the game suits you. As always, discretion and moderation are required. Personally, I think you should not take Postal too [sic] seriously. Some of the violence options can be disabled in the menu to make it more like other, typical FPS. 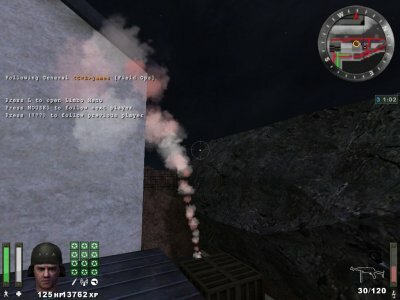 Smokin' Guns is an open-source FPS based on Quake. It takes place in Wild West in mid 19th century, making a giant leap away form the usually modernistic or futuristic trend of most FPS games. Indeed, in Smokin' Guns, you won't have any fancy weapons to brag about. No lasers, grenade launchers or rail guns. You will have a small number of rusty, black-powder pistols and a rifle if you're lucky. The shots will be slow and inaccurate. 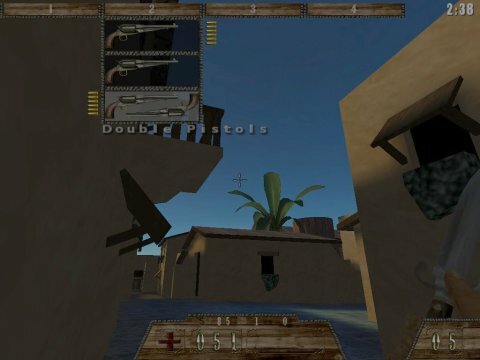 In fact, the game quite accurately captures the historic limitations of the 19th century firearms.This archaic setting makes Smokin' Guns a unique experience. 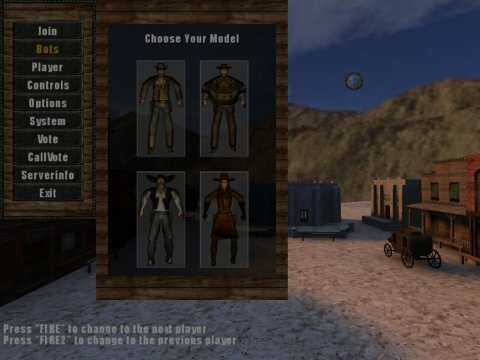 Smokin' Guns has several gameplay modes. Bank Robbery is the standard one, where one team has to defend the bank while another tries to rob it. 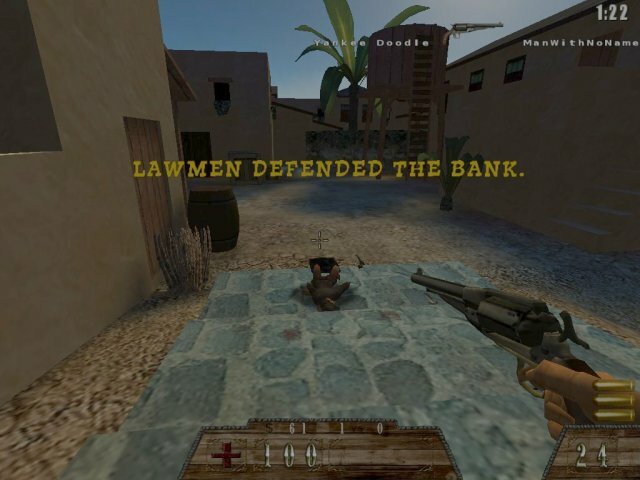 The attacking team can use dynamite to blow a hole in the bank walls and steal the money. 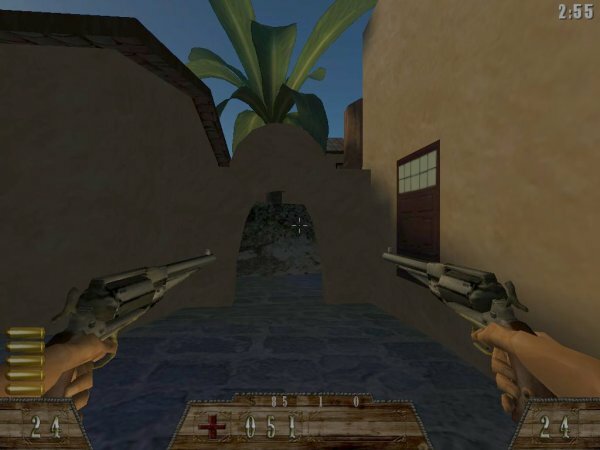 Another very interesting mode is the Duel, where players face one another and wait for a musical clock to stop playing, just like in the legendary Sergio Leone's movies. Other modes include Deathmatch, Team Deathmatch and Round. 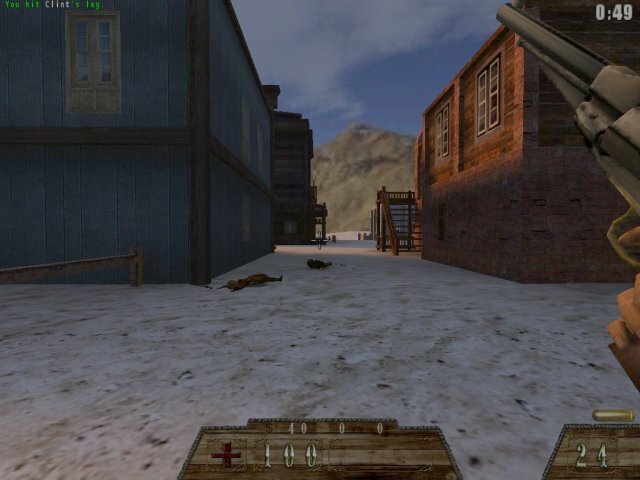 Players in Smokin' Guns can fight with a variety of weapons, but there is a small supply of them available on the maps, forcing users to scavenge ammunition off dead comrades and opponents and use the available stock sparingly.It is possible to carry two pistols and fire them in parallel. While this adds firepower, it can bleed your ammunition far more quickly. Combat is accompanied by pleasant Western music similar to Ennio Morricone's hits, adding to the atmosphere. The one small drawback of the game is the relatively poor graphics. 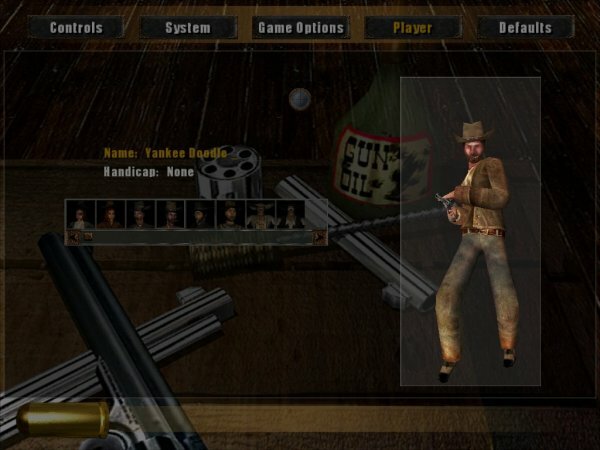 But if you can enjoy the game beyond the mere visual appeal, you will like the fresh, unique angle that Smokin' Guns offers. Normally, I dislike 2D platform/arcade games. However, Soldat is an exception. 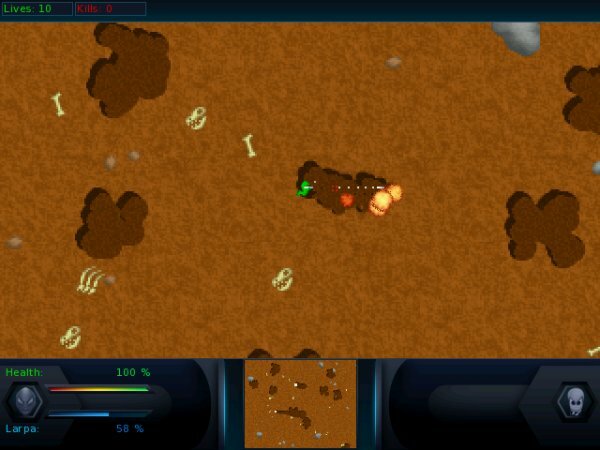 It is a fast-paced, rich 2D multiplayer game, inspired by elements from Liero, Scorched Earth and Worms all combined. 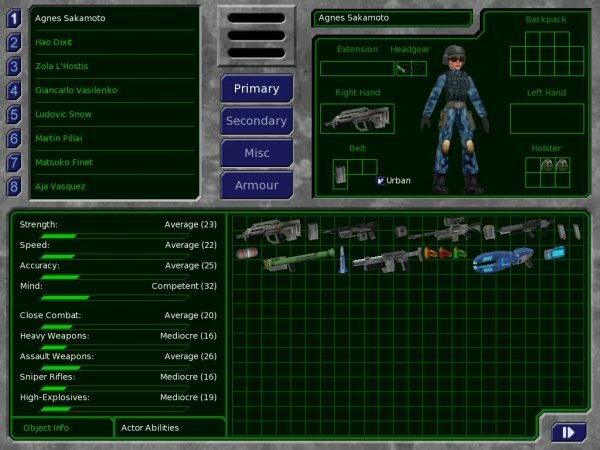 Soldat is a fun game and has many elements usually present in more complex titles. Soldat has tricky, realistic gravity and momentum alongside ragdoll physics, collateral damage effects, realistic weapons recoil, and a rich assortment of weapons to choose from. Dropped weapons can be picked and used. Supply crates and medikits are strewn across the map, allowing users to recharge their ammo and health as they fight. 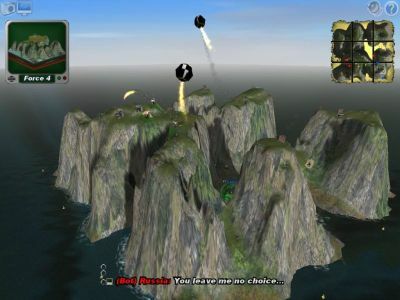 Players can also use jetpacks to fly around. 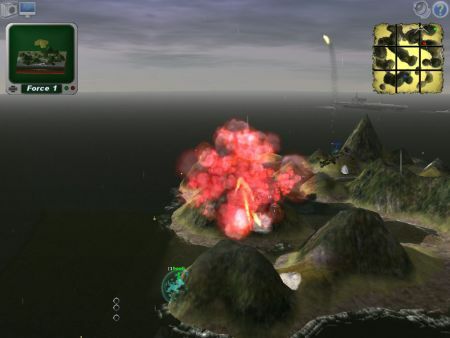 There are several gameplay modes, including singleplayer against bots and multiplayer against other people online or on local network. There are many mission types, ranging from Infiltration via Capture the Flag to Deathmatch. It is possible to play alone or in teams. Killed players respawn randomly on the map. Death effects are spectacular, similar to Liero, with big chunks of body parts flying around. The game is available for Windows and Linux. The Linux version requires WINE. Overall, the game looks well. 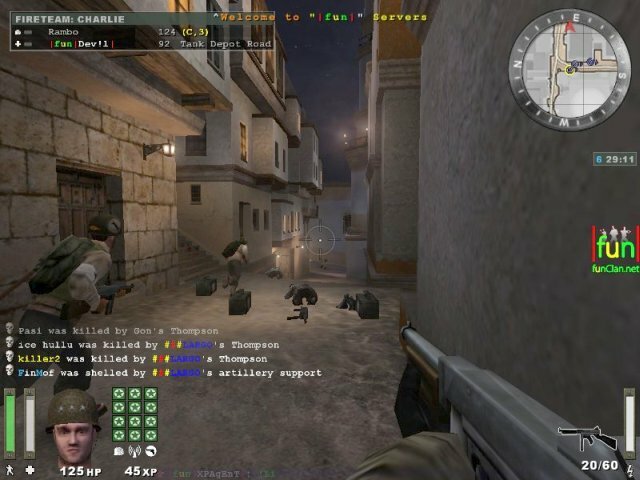 It is possible to play in windowed or full-screen mode, however higher resolutions and extra aesthetics are only available to registered users. Registration is free. These few short paragraphs only barely encompass the full plethora of options, tweaks and mods that the game offers. You are most welcome to visit the official forums and read more about what this mighty little fighter can do. I would never have imagined that a simple 2D game could be that fun, but it is. 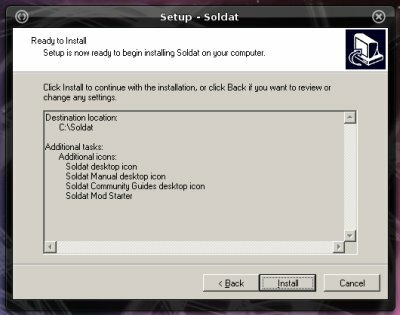 Soldat has the right balance of reasonable graphics, mission detail and complexity, weapons arsenal, and physics to make for a very pleasant, fast-paced treat. The game is small and takes very few resources, making it an ideal pasttime activity for people with weaker machines. 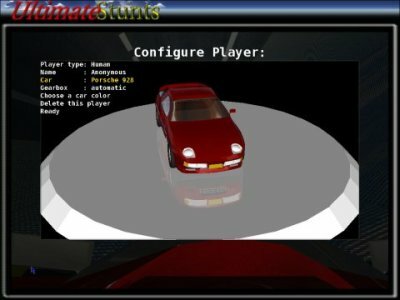 Ultimate Stunts is a remake of the great DOS game Stunts. It is a simple, no-nonsense game with the sole purpose of eroding the forward arrow key on your keyboard. That's all. You hop into a car, set the camera angle and speed on down a stunts track, full of jumps, holes, bogs, twists, turns, traps, ramps, and loops. 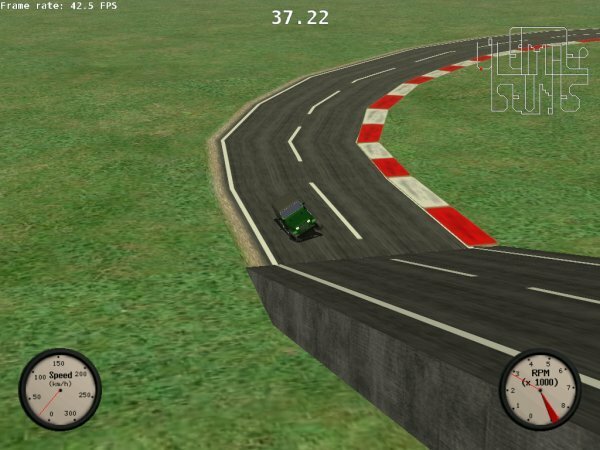 Your goal is to complete the track as fast as you can without crashing your vehicle. The simple premise of the game is what makes is so much fun. When there is no need to focus on a detailed story line, you focus on the gameplay. Ultimate Stunts is a far cry from its father. The graphics is quite reasonable. Cars are well done, rounded and beautiful. The landscape has been given less polish. The game physics is not extraordinary, but that is not the purpose of the game. 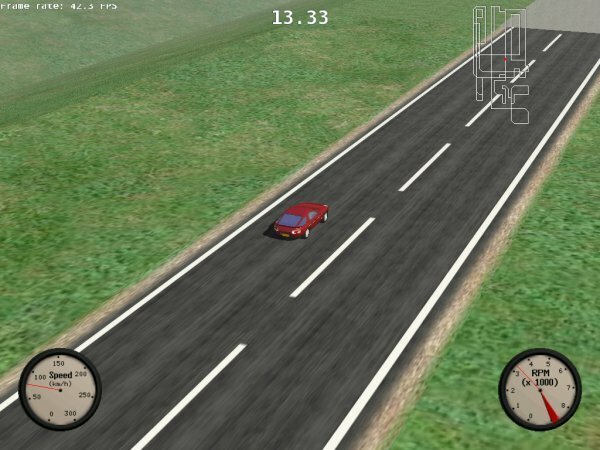 If you're into realistic driving, you should probably try ManiaDrive and VDrift, which I have reviewed in previous articles. Ultimate Stunts is about pushing your vehicle to the limits. And while they will slide nicely through corners with minimal effort, your biggest worry will be to keep the fast and nimble cars from crashing into obstacles or driving off the track. In fact, Ultimate Stunts is a hard game because it is easy. The ease with which you drive your vehicle will make you too fast and too reckless. Ultimate Stunts is continuous development. There's also a multiplayer mode. 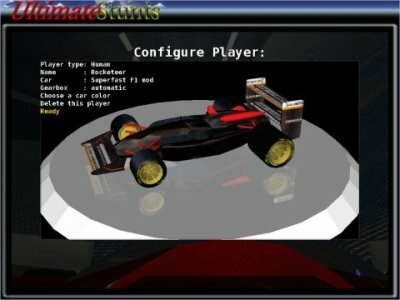 The in-game menus are poorly styled like a programmer's to-do list, but that should not you divert your from the simple thrill Ultimate Stunts offers. If you're looking for a no-brainer terminal-velocity fun with nice graphics, this is the title for you. Board games is a collection of games that do not go beyond the one menu that opens when the game is started. In other words, what you see before you, on the board, eclipses the game. Some of these games are tremendous fun, especially for people with lesser inclination toward full-blooded games that take lots of time, effort and system resources. Minesweeper, Solitaire, all sorts of puzzle games, they all fit into this category. Indeed, what makes them so popular is that they can be played by anyone, from children to old people. You don't have to overclock your CPU or buy a USD500 laser mouse to pwn. You can sit back and read Jane Austin in between the lines while clicking happily on the screen. Best of all, these games usually need not be downloaded separately. They are available in most distros. This makes them even more appealing to casual users. Since board games need to appeal to players using the minimum of time and space, just like TV commercials, lots of emphasis is placed on the visual appeal. You want your board games to be stylish and classy, inoffensive and beautiful. This is why there are more and more 3D board games being created. Let's take a look at a few. Hint: I have not forgotten about Mahjongg 3D! The name of the game is a bit of a wonder, since there is nothing brutal about the game. 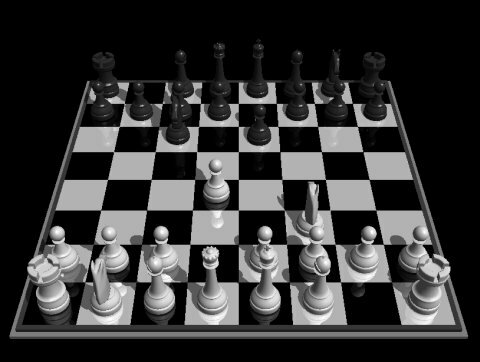 It's normal chess, like any other, with a beautiful, polished checkboard in 3D effect. As I'm not the finest chess player in the world, I can't account for the actual quality of the AI opponents, but the game seems nice and pleasant. No homepage link, as it seems a little hacked. Your best bet is to look for this game via the repositories. 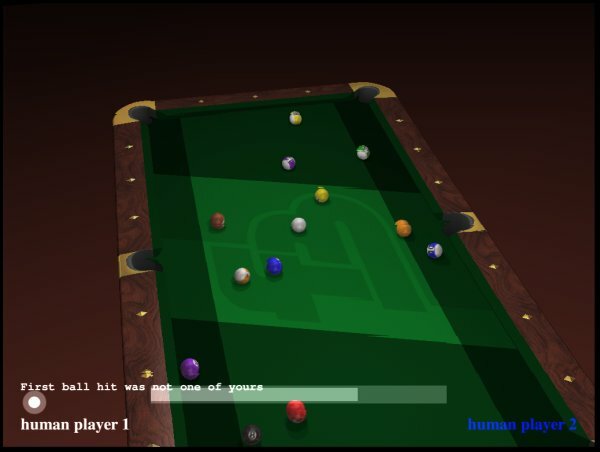 FooBillard (that's how it's spelled, no error there) is an OpenGL billiard game, with lovely 3D effects. Getting used to the controls can be a little tricky. Pressing F1 will display the list of available commands. You can toggle the stick on and off. Mouse buttons can be used to change the camera angle and the impact point on the balls, plus there is a whole range of visual effect settings. 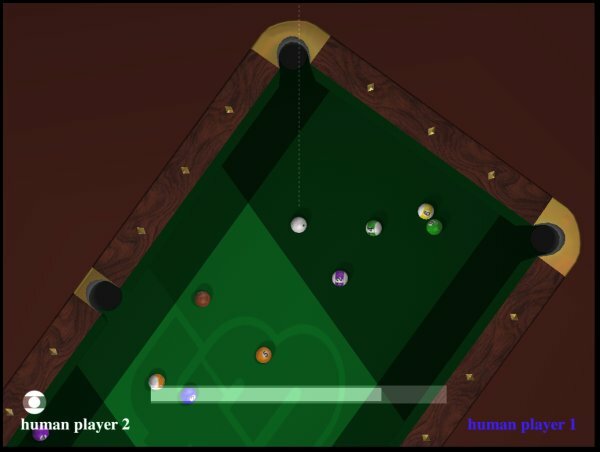 Overall, Foo Billard looks quite decent. It is not easy to play and takes time mastering. UFO Alien Invasion is one of more pleasant surprises for 2009, at least for me. 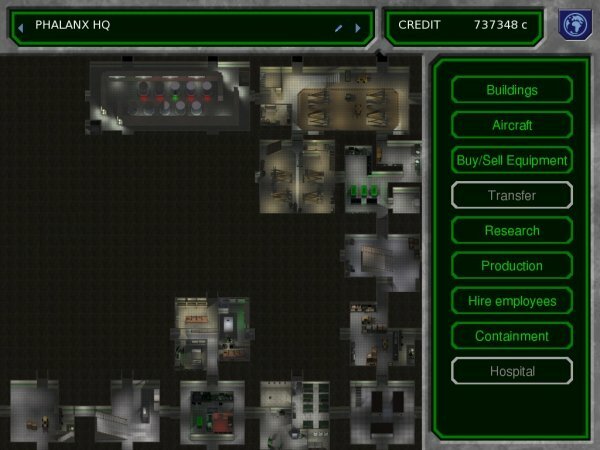 This game is the remake of the legendary DOS-era UFO: Enemy Unknown, one of the finest games ever. Now, it is back, in beautiful 3D detail, with little of the original gameplay changed. 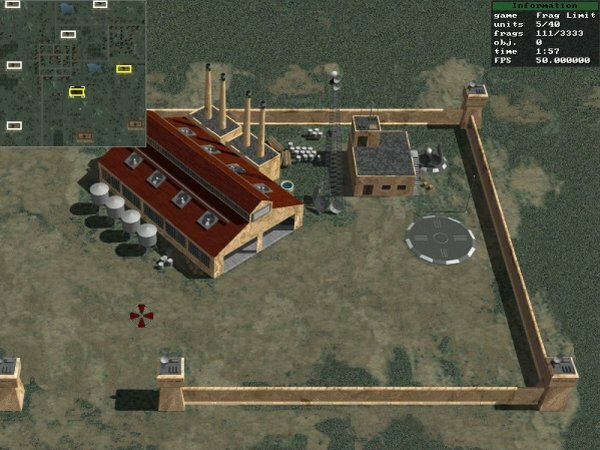 Like the original game, you have to establish bases where you research future technologies, train troops. Your bases also have alien containment cells, large stores of ammunition and tools, hangars for your aircraft, and sleeping quarters for your soldiers, engineers and scientists. Just like the original, the game takes place on two levels. There's the 2D Geoscape world view, with a realistic sinusoidal day-night line covering the terrain and moving with Earth's revolution - or if you prefer, you can use the 3D view. 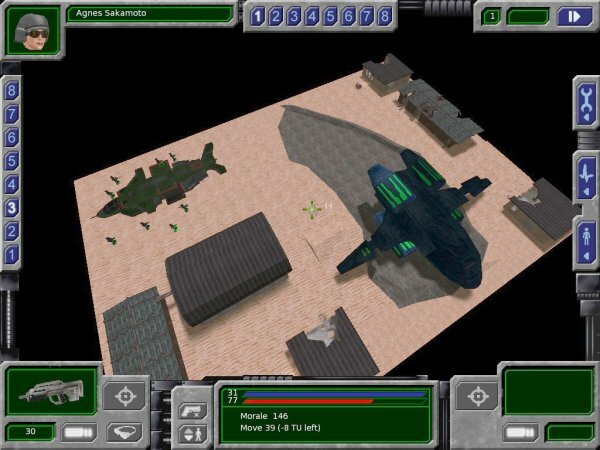 Then, there is the Tactical battle view, where you fight aliens in turn-based action. Just like before, only 10 times more lovely. The only downside is the music, which is far less sinister than the original. The electronic sound is still there, but there are blood-curdling screeches or heartbeat drums. 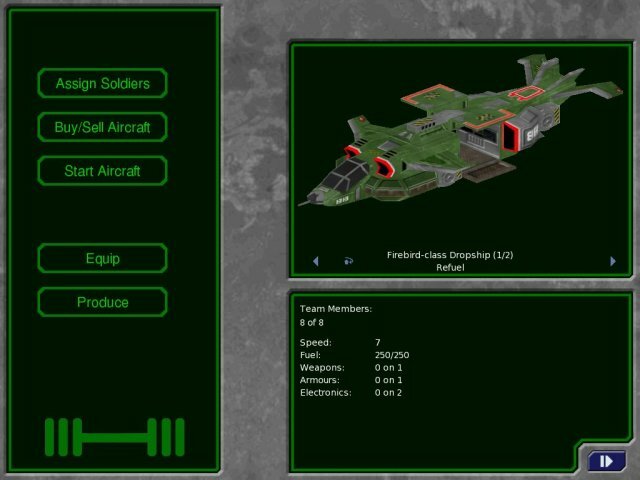 Inside each base, you'll have the option to build new facilities, buy and sell equipment, including technologies researched by your scientists and produced by your workers, equip the dropships and interceptors with weapons, fuel tanks, armor, and electronic equipment, and arm your troops. Be careful in combat, though. Firing with your grenade launchers down narrow doorways can be tricky. The grenades might bounce and get your soldiers killed. Getulio de Calderac was a little reckless and paid with his life. The combat is truly exciting. It is much more than a turn-based checkerboard. 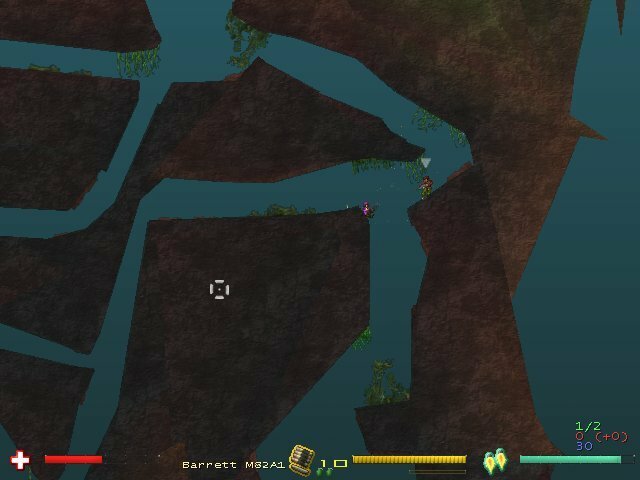 You can rotate the camera angle freely about and even step into the First Person View to get a better look of the enemy forces or see if you have the necessary line of fire to take the shot. You can also make your soldiers auto-respond to alien moves and will also crouch to make a smaller target. Here are two examples of the First Person View: In the first screenshot, you can see an alien dying to the sweet sounds of an RPG round. In the other, there's an alien body sprawled inside the building against the burning wreck of a downed alien ship. Totally sweet. Oh, did I mention there's a multiplayer mode, too? Online or on LAN, one side fighting as humans, the other as aliens, squad against squad? 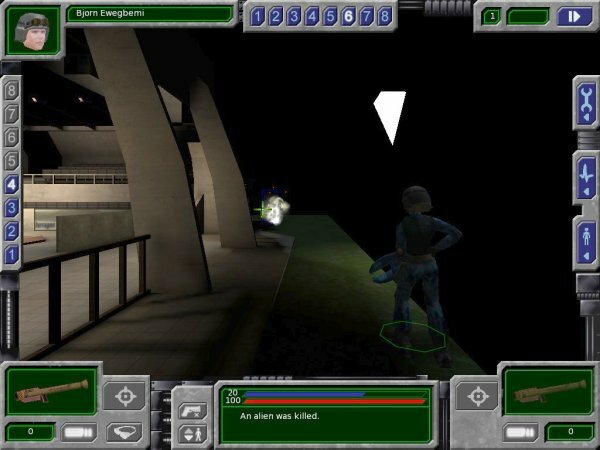 The game runs on the id Tech 2 engine and is continuous development. It is available for all major operating systems. I happily play it on both Windows and Linux. Alien Invasion really surprised me with its quality and polish. If you're even a lukewarm fan of the original series, you will fall in love with this deep, beautiful game. Alien Invasion is a new discovery for myself too, but I promise to keep playing it for many, many long hours. 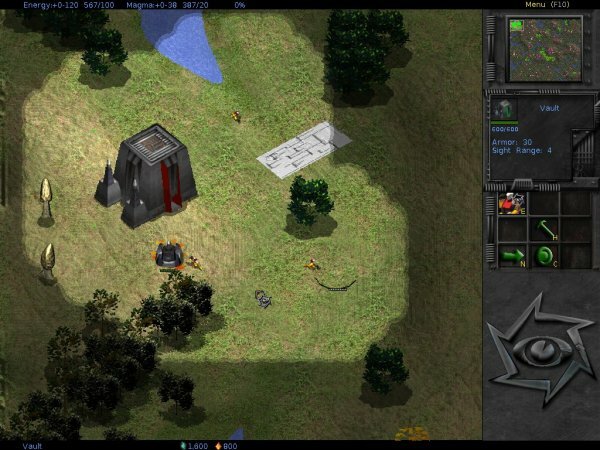 Bos Wars is a simple RTS game somewhat similar to Warcraft/Red Alert, especially the earlier releases. Your goal is to build a base, harvest resources and build lots of troops to defend yourself against enemies and possibly even defeat them. Your soldiers use the same voice like Russian troops in Red Alert, namely a slightly wooden ahhhhhhnoledged style of crooked English. The same basic principles as in most strategies apply. You have to work fast, build in concentric circles, carefully defend your flanks, and send troops to reveal terrain and dispel the fog of war. The game is a bit difficult. I was quickly annihilated after only about 10-15 minutes on three separate occasions. Apparently, you need to build lots of cheap troops in the beginning until the more powerful stuff becomes available. Bos Wars is not as complex as some comparable titles, but it is good enough. If you like the genre, you might wanna try Bos Wars. One big drawback is that there is no music in the game whatsoever. Bos Wars has both single and multiplayer modes and works on all major operating systems. 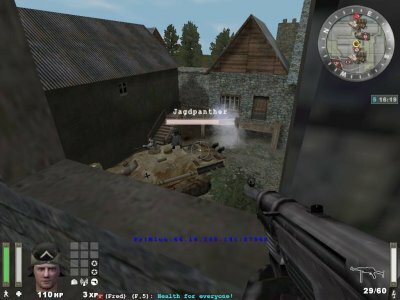 NetPanzer is an online tactical multiplayer game, designed for fast action. The game is very simple. You have a bunch of armored vehicles - use them. You can fight enemy troops any which you want, but it is best if you can manage some sort of strategy to avoid losses. If you die, you will respawn with your horde and start again, the winner being the player with most kills at the end of the match. Another key point is that you can capture factories. They will produce additional tanks for you, boosting your chance of survival and even victory. The more bases you hold the better. The game menus are ugly and uninviting, while the game graphics is passable. 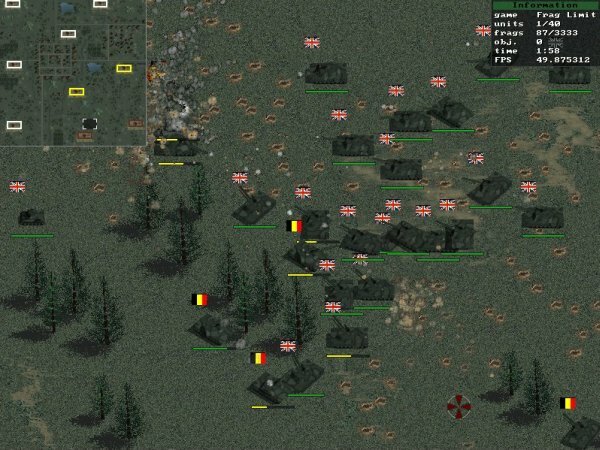 NetPanzer is mostly about force and wanton destruction, quickly and in big numbers. Turn-based and real-time artillery games might fall into the category of action or maybe 2D games, but not really being sure how to classify them, I placed some of these games in a category of their own. If you can think of a better classification, feel free to email me. So, we have several choices here. 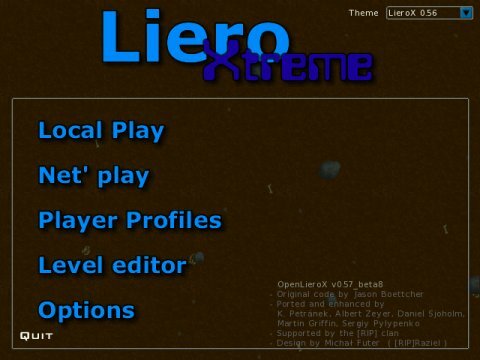 Liero was the game that started it all. 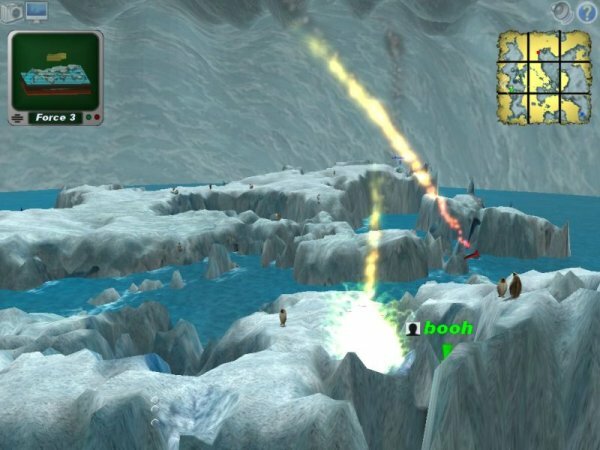 It was a Finnish worm with lots of destructive power that started the genre of single-screen multiplayer real-time 2D shooters, where players fight one another to death all the while liberally destroying the map landscape. I still often play Liero in DOSBox, but I also sometimes play the newer versions, some of which I will present here. These new games follow in the steps of their forefather, only with better graphics, more options and usually cross-platform compatibility. There are so many Liero clones that it is a bit difficult finding the right one(s). I wanted to link to LieroX, one of my favorite modern clones, but the official website was inaccessible. Instead, I'm linking to the OpenLieroX homepage on Sourceforge. It seems that the development of the original Liero Xtreme or LieroX has been discontinued, so OpenLieroX is now the shiz. The game retains the old chaotic beauty, with a whole range of new weapons. There's local and network play and you can take screenshots while in the game. 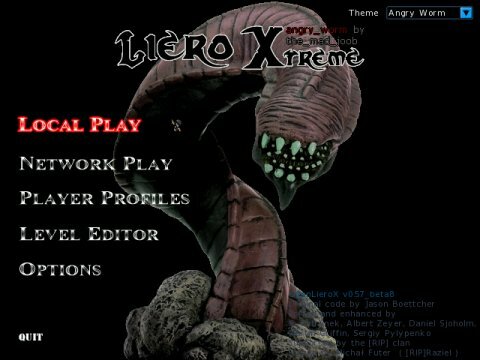 You can also skin the menus to resemble the original LieroX before it was discontinued. It can all be a little confusing. I will review some of the other clones in the sequel articles, for now, reading the Wikipedia article on the subject will give you a good impression of how popular and branched Liero has become. Hedgewars is a cute 2D shooter. It's part Liero, part Worms. Unlike Liero, the game is turn-based, with one character of each opposing team taking turns hurling their weapons at the enemy. 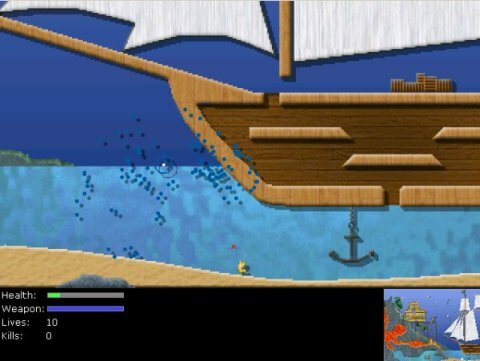 It is similar to Wormux, which I have reviewed in my article Linux games - Lots of great choices and tagged under "small" games. Upon reflection, I discovered that this particular genre is very much popular with the gaming community, so I have decided to place future entries in a separate category. This does not mean it's better - or worse - than Wormux, simply different. 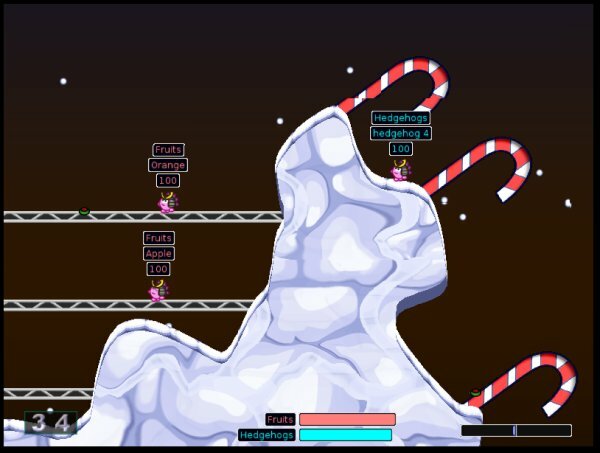 While Wormux is geeky and very much like the original Worms, Hedge Wars is fluffy and violent. The sweet pink hedgehogs are capable of being nasty little buggers when they need to. Like Yo Frankie!, the looks are deceiving. This game is about being violent and stylish, so you should keep the small children away. Naturally, you get the standard assortment of weapons, including dynamite, rockets, bazooka, baseball bat, teleport, fire punch, and many others. It's the usual Armageddon fun with worm-like creatures. The game popularity is rising. The one downside is that the game has some hefty graphics requirements, but these are being toned down in newer releases to make it playable of weaker machines, as well. 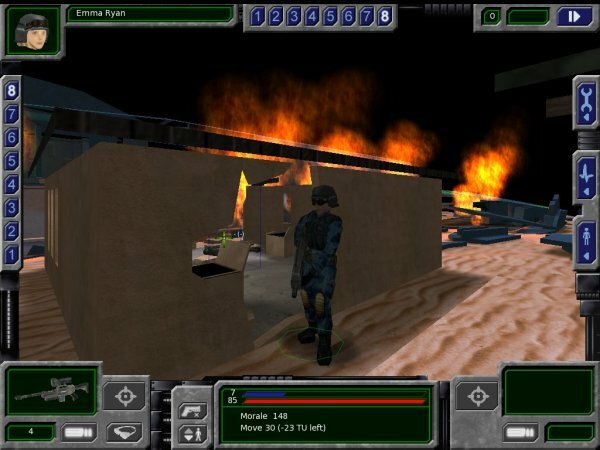 Scorched 3D is a remake of the masterpiece Scorched Earth, the mother of all games. 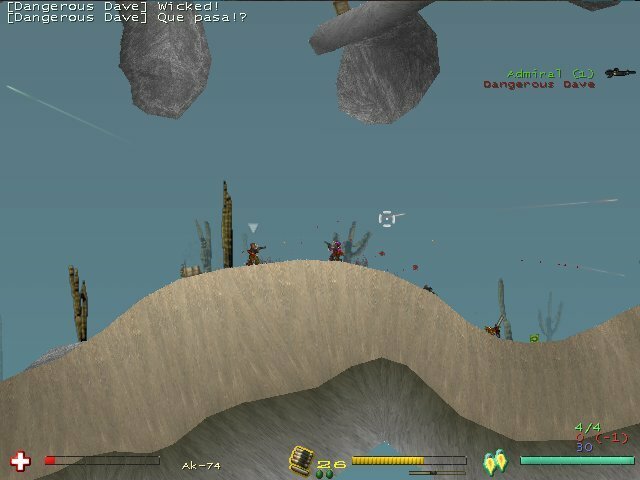 It's a game where tank-like creatures fight by elevating their guns, adjusting for wind and distance and firing all sorts of cool weapons at one another, from rusty shells via meteor rains to ultimate complete-destruction Dr. Strangelove devices. I have always been genuinely impressed with Scorched 3D and even written a whole article dedicated to this game. So you should go tither for lots of details and many sweet screenshots. Scorched 3D is not only a wonderful sequel to a great title, it has many fine touches of its own, making it into a beautiful world of its own. You can play against bots or other people. There's also the Apocalypse Mod. 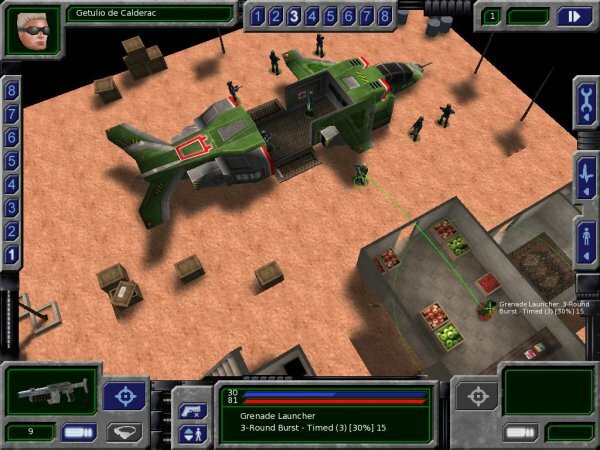 Unlike the original Scorched, the game is turn based, but the firing action takes places simultaneously, all players at once. Naturally, the games runs on all major operating systems. Scorched 3D is a must. Here's me inventing another genre of my own. But I was not sure where to classify Trackballs, which is reviewed further below. 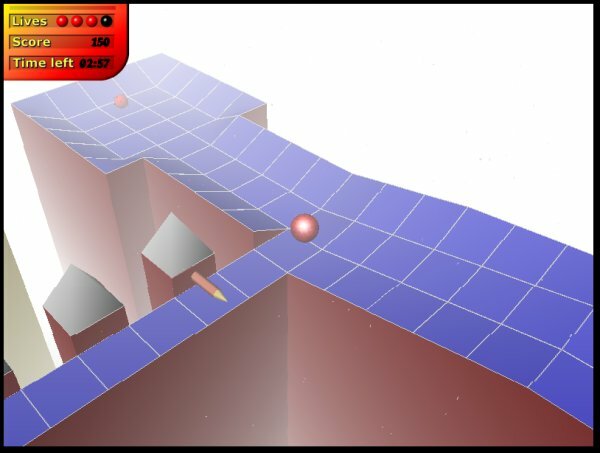 Alongside Phun 2D, it's a game where physics are the key element of the game. You fight the forces of Newton, plain and simple. Trackballs is a marble game inspired by an 80s Atari classic Marble Madness. You're in control of a marble and you have to steer it through a maze full of nasty surprises. It's a bit like Prince of Persia, except you're a sphere rather than a handsome Saudi prince. The game is immensely fun - and quite difficult. It also seems like a great tool for helping children (and women) develop coordination. Just joking. Children need not develop coordination. Ahem. Anyhow ... Trackballs is a simple yet addictive. The 3D graphics add to the game's feel. Here's a little teaser of what we're going to see in the sequels - or at least try to. We'll take a look at PlaneShift, a fantasy MMORPG. We will also take a look at Dark Oberon and Globulous, real-time strategy titles, and Widelands, a Settlers-style game. We might also talk check a few more lovely 3D board games like Neverball or perhaps I have no tomatoes. And of course, Mahjongg 3D. I will also review Alien Arena again, this time in its 2009 incarnation. Of course, I'll keep hunting for more FPS titles. 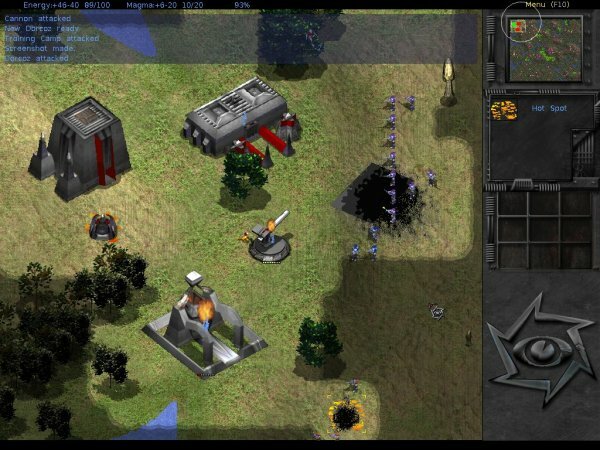 And I will also probably mention Soulblighter, a real-time tactics game. I might also bundle in a few more Flash or Java games as an appetizer. I am also planning an article on technology demonstrations, limited demos and payware games available for Linux. This is something I have been mulling over for some time and I'm not really sure how to proceed. I was thinking about giving Unreal Tournament, Doom III, Quake Live, Return to Castle Wolfenstein, and some other titles a whirl. If you have ideas how to make a successful article from his concept, I'd be glad to hear. Likewise, if you have suggestions about game titles, they are always welcome. Furthermore, I also have another mega article planned (in fact, already written) about Linux gaming, but I'm keeping its contents and purpose a secret for now. It should be up pretty soon, so stay tuned. I really hope you have enjoyed this article. Like always, I have tried to maintain a balance between genres and game types. It is obvious I have a leaning for FPS and strategy games, which is why they often fare better in my reviews. Still, I believe that I have also presented a range of options for the less geeky audience, including some simple yet beautiful board games and straightforward tactics titles. 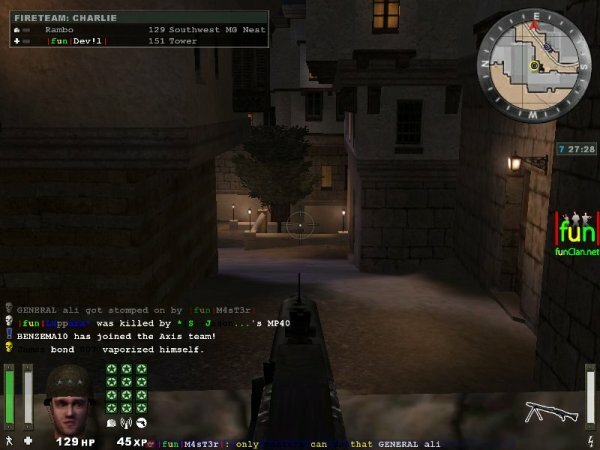 Linux gaming does have beef and it can offer its users enough to keep them occupied for quite a while. The voyage is still long before Linux gaming becomes as rich and varied as on Windows, but we're slowly getting there. Hopefully my article help enlighten the path. See you around. Feel free to spread the word.